Drought, climate change, extreme weather events, and population growth have put water managers at a crossroads. Our 20th-century water management models take a linear approach: water in, water out. Building water resilience will require us to rethink our old ways and transform our water systems. The good news is that water managers around the globe are starting to think about the synergies and resource potential across water, energy, and wastewater boundaries. This “One Water” approach leads us to reimagine our infrastructure, collaborate across disciplines, adapt our governance, and engage our communities. "Onsite non-potable water systems are transforming the way we live and do business in San Francisco." 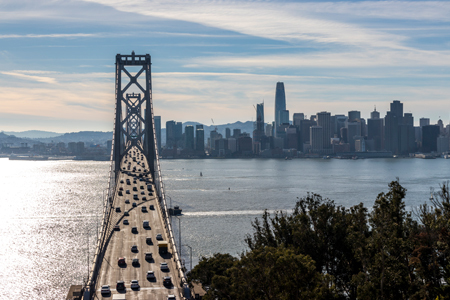 The San Francisco Public Utilities Commission (SFPUC) has adopted a OneWaterSF approach to managing our finite resources for long-term resiliency and reliability. We’ve cultivated a shift from thinking about one project at a time to thinking more holistically about project impacts and potential synergies between our water, wastewater, and power operations. Demonstrating our commitment, the SFPUC headquarters incorporates an onsite, decentralized water system to treat and collect the wastewater generated in the building. The Living Machine™ captures the blackwater and treats it for reuse for toilet and urinal flushing, resulting in 60 percent less water use compared to similarly sized buildings. As this was the first building in San Francisco, and one of the first buildings in the nation, to do onsite blackwater treatment, the SFPUC confronted challenges given that water quality and permitting guidance did not exist. However, recognizing the potential to reduce the use of potable water in new buildings, the SFPUC collaborated with the Department of Public Health, Department of Building Inspection, and San Francisco Public Works to establish San Francisco’s Non-Potable Water Program. Together, the four agencies provide oversight and management of the use of treated non-potable water to ensure systems are protective of public health. In 2012, San Francisco became the first municipality in the U.S. to adopt groundbreaking legislation to streamline the permitting process to allow buildings to collect, treat, and use graywater, blackwater, stormwater, rainwater, and foundation drainage onsite to meet building non-potable water demands such as toilet flushing, cooling, and irrigation. Today, it is now mandatory for all new commercial, mixed-use, and multifamily development projects over 250,000 square feet to install and operate an onsite non-potable water system. 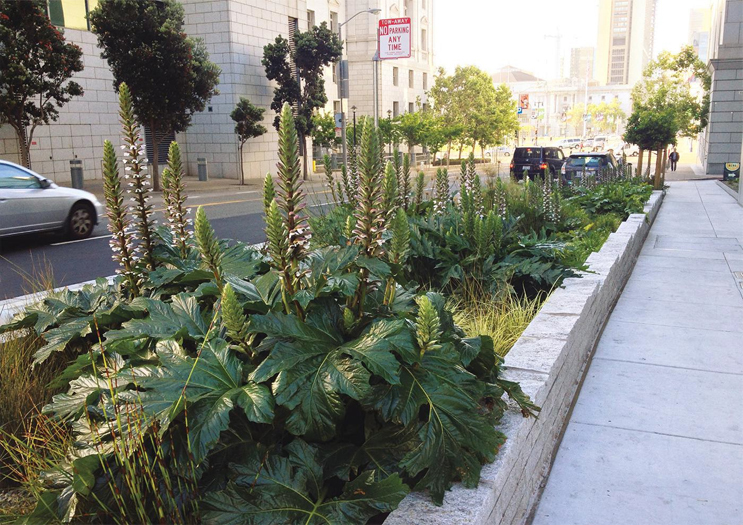 Currently, over 80 projects in San Francisco are underway with design, permitting, and operation, about 70 percent of which are rainwater harvesting projects. The remaining projects are implementing a combination of foundation drainage, graywater, and blackwater treatment systems. By pioneering new ways to collect and treat water for reuse within buildings and neighborhoods in San Francisco, we’ve created the opportunity to build upon our centralized water infrastructure — integrating smaller onsite water treatment systems to produce water fit for toilet flushing and irrigation that not only matches the right resource to the right use, but also helps us stretch our drinking water supplies. Onsite non-potable water systems are transforming the way we live and do business in San Francisco. As a leader in the innovative use of water in an urban setting, the SFPUC is also spearheading a research effort to understand the potential to create purified water at a building scale. Through a partnership with the Water Research Foundation and the U.S. Bureau of Reclamation, the SFPUC is helping to advance the dialogue around potable reuse with PureWaterSF, a nine-month pilot project that will take treated water from the Living Machine™ at the SFPUC headquarters building and further treat it to meet drinking water standards. The pilot uses ultrafiltration, reverse osmosis, and advanced oxidation with ultraviolet light. After data collection, the treated water will be returned for toilet flushing in the building. In addition to contributing to the development of regulations for potable reuse, the SFPUC has also been involved in advancing onsite water reuse in breweries. In response to increasing interest from breweries in San Francisco, and in the absence of clear regulations regarding the reuse of brewery process water, the SFPUC has developed water quality and treatment guidelines for brewery process water for reuse. Sources, such as process water from filtration, production, and packaging, can be treated to produce water suitable for reuse with tank rinsing, bottle rinsing, packaging, and clean-in-place (CIP). The SFPUC recognizes that as regulations evolve, onsite water reuse can be done safely and reliably, and should be undertaken in a way that is protective of public health and benefits the community. Thus, the water quality and treatment guidelines for brewery process water treatment systems reflect chemical, pathogen, and organic material and solids control strategies intended to provide public health protection. The guidelines are consistent with the critical elements of food safety standards and municipal drinking water standards. "Despite the broad range of benefits, adoption of onsite non-potable water systems has been constrained by policy and regulatory barriers. Since launching the Non-potable Water Program, the SFPUC has taken the lead on a national effort to advance the field of onsite water reuse. Working with partners such as the Water Research Foundation and the US Water Alliance, the SFPUC convened a diverse group of utilities, municipalities, and public health departments from across North America to address the challenges to widespread adoption of onsite water reuse. Despite the broad range of benefits, adoption of onsite non-potable water systems has been constrained by policy and regulatory barriers. First, there is a current lack of national water quality standards for onsite non-potable water systems. Second, communities lack guidance on how to establish oversight and management programs. Under the leadership of the SFPUC, leaders from utilities and public health agencies from across the country, including California, New York, Hawaii, Oregon, Minnesota, and Washington, came together to address the need for consistent water quality standards from state to state. These efforts culminated in the publication of the Risk-Based Framework for the Development of Public Health Guidance for Decentralized Non-Potable Water Systems, funded and sponsored by the Water Environment & Reuse Foundation. The report used Quantitative Microbial Risk Assessment (QMRA) modeling to develop performance-based log reduction targets for the treatment of pathogens based on potential health risks associated with exposure to pathogens. An independent advisory panel of technical experts in the fields of risk assessment, microbiology, and water quality standards and regulations prepared the risk-based framework with the goals of evaluating existing water quality standards for alternate water sources, developing recommendations to help regulators implement oversight and management programs, and establishing uniform standards among states. This risk-based approach is considered the most comprehensive and protective of public health. In 2016, the National Blue Ribbon Commission for Onsite Non-potable Water Systems was formed to advance best management practices and conduct research to support the use of onsite water systems. The National Blue Ribbon Commission is composed of 36 representatives from public health and water and wastewater agencies and is the culmination of over four years of work led by the SFPUC, the US Water Alliance, and the Water Research Foundation. To address governance issues, the National Blue Ribbon Commission recently completed A Guidebook for Developing and Implementing Regulations for Onsite Non-potable Water Systems. The guidebook provides a specific framework and templates for state and local jurisdictions to use as they craft regulations, adopt policies, and develop and implement local programs for onsite non-potable water systems. Templates include a model state regulation, a model local ordinance, and recommended program rules to accompany an oversight and management program. The recommendations in the guidebook build upon the extensive research presented in the risk-based public health guidance report. The National Blue Ribbon Commission has developed additional tools to encourage on-site reuse as an effective strategy in long-term water resource and resilience planning. The National Blue Ribbon Commission recently released the report Making the Utility Case for Onsite Non-potable Water Systems to inspire water and wastewater utilities and local government agencies to consider incorporating decentralized non-potable water systems in their long-term water resource and resilience planning. The document provides case studies and highlights the benefits of onsite water systems in communities across the U.S. The document also offers solutions to the challenges utilities face with onsite water systems. Building on this comprehensive research and work that’s been completed by the SFPUC, legislation was introduced earlier this year to establish statewide regulations in California for onsite non-potable water systems through Senate Bill 966 (SB 966). Written by Sen. Scott Wiener and sponsored by the SFPUC, SB 966 directs the State Water Resources Control Board to establish risk-based water quality standards for onsite non-potable water systems, as well as monitoring criteria, reporting, notification, and public information requirements, and cross-connection controls. This bill is cultivating a shift in thinking about how to better protect public health through the adoption of risk-based water quality standards that are considered the most protective and advanced. SB 966 also seeks to break down barriers to widespread implementation of onsite non-potable water systems by helping municipalities across the state establish consistent oversight and management programs. While these efforts represent a significant step forward for streamlining regulatory approaches, the National Blue Ribbon Commission has identified an additional need for guidance and training for local jurisdictions and their stakeholders to translate the risk-based public health guidance into effective design, operation, and regulation of onsite non-potable water systems. Over the next year, the National Blue Ribbon Commission will develop a design, operations, and regulations guidance manual and training materials. The goals of these materials are to educate stakeholders on the appropriate treatment and monitoring requirements and provide stakeholders with a user-friendly guidance manual and training materials that can be adapted and implemented by jurisdictions seeking to implement an onsite non-potable water program. The deliverables have been scheduled for completion in late 2018/early 2019. The future will require all of us to respond differently from how we have in the past. We will all be faced with creating new solutions to new challenges impacting our water and wastewater infrastructure. Onsite non-potable water systems present an opportunity to enhance our legacy systems and increase our ability to be more resilient in the future. Paula Kehoe is the director of water resources with the SFPUC. She is responsible for diversifying San Francisco’s water supply portfolio, including conservation, groundwater, and recycled water programs. Taylor Chang is a water resources analyst at the SFPUC. She manages the Non-potable Water Program, provides technical assistance to developers and engineers, and administers grants to non-potable projects.